Description: This is a comprehensive source of information about pregnancy. 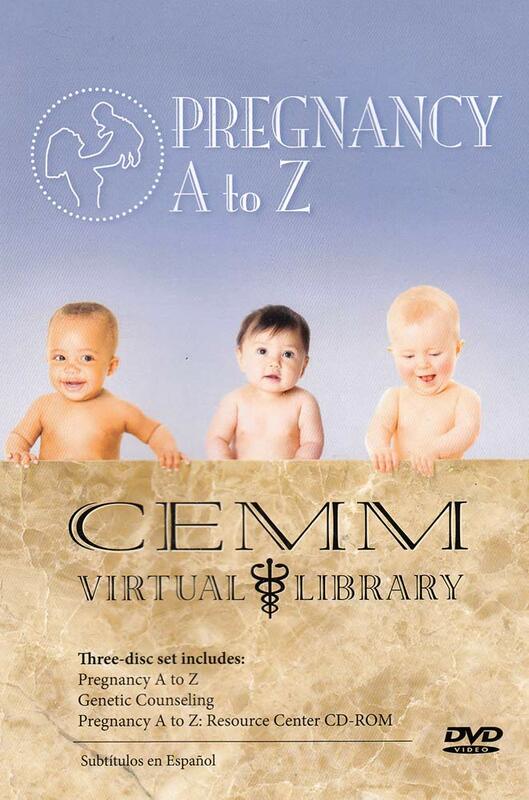 Segment One covers the first trimester; Segment Two, the second trimester; Segment Three, the third trimester; Segment Four: Labor and delivery including the stages of labor, pushing, and delivery; Segment Five: Your newborn baby including jaundice and circumcision; Segment Six: Infant feeding, breastfeeding, bottle feeding; and common breastfeeding problems; Segment Seven: Postpartum information; Segment Eight: Dads, covering pregnancy coaching and after delivery. Spanish Sub-Titles. 2013. Pregnancy A-Z covers so much for the pregnant girls. We use this a lot at our center. Very well put together. This series is excellent. The first DVD that includes information about the trimesters is perfect for our clients. It holds invaluable information. 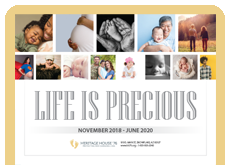 I do advise against letting clients see the second DVD as it discusses genetic testing and abortion if the client wishes not to have a child with a genetic disorder. Every client this DVD applies to, watches it. Our clients enjoy the updated information and style. Almost every time a client watches it, they comment on the helpful information. 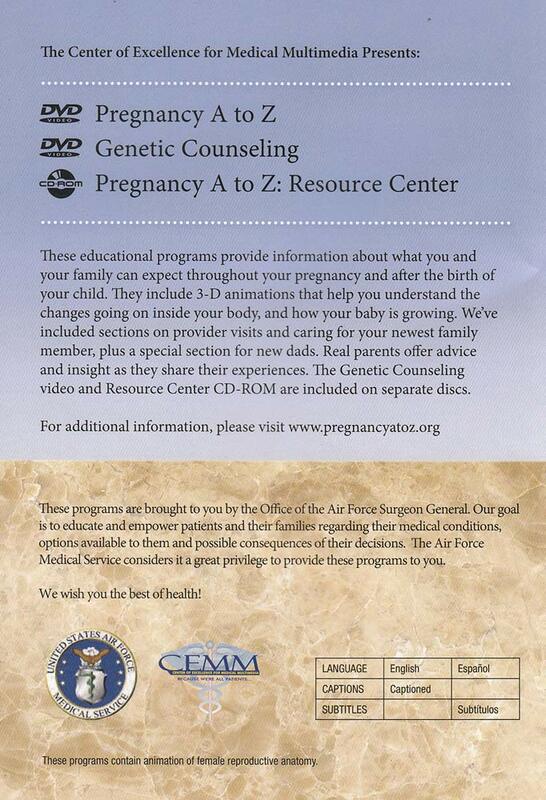 This updated DVD on the three trimesters of pregnancy has been great to show clients. Its revamped presentation with the Doctor's input as well as personal testimonies from parents relates better to 21st century clients.